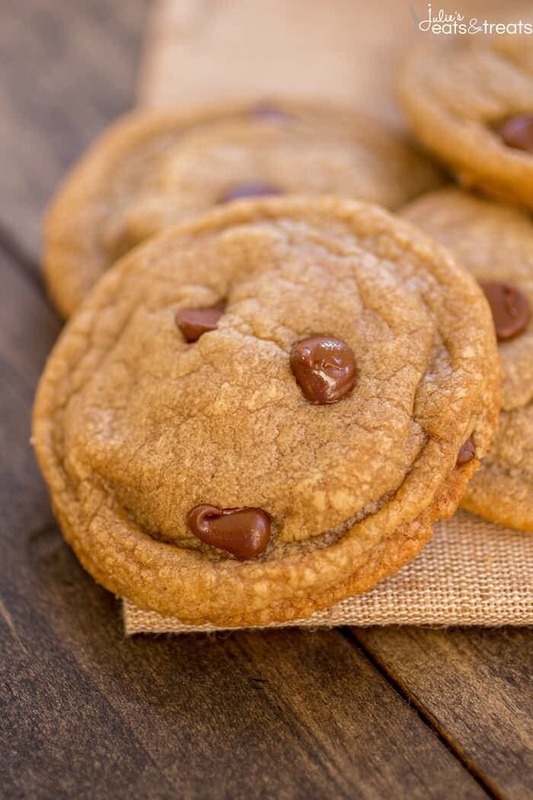 Biscoff Chocolate Chip Cookies – Chewy, soft and incredibly flavorful chocolate chip cookies thanks to the addition of Biscoff! Hey Guys! 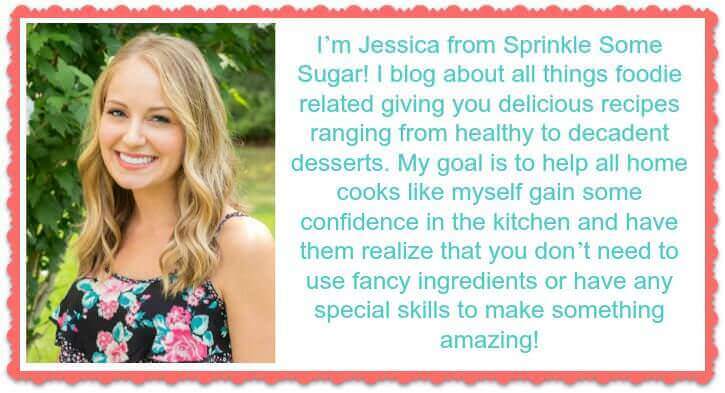 It’s Jess here from Sprinkle Some Sugar. Let’s get down to business. Biscoff. I feel like you are either a lover or a hater of the stuff. I mean, what do you really do with it besides maybe, eat it with a spoon? Or is that just me.. To stop myself from eating the whole jar by the spoonful, I decided to use it in some cookies! What does Biscoff spread taste like, you ask? Well, it basically tastes like graham crackers in spreadable form with some brown sugar and a little bit of spice added. It’s pretty hard to describe, but it is SO good, you guys. Trust me. Especially in cookies! It’s basically my obsession and I hoard jars of it in the pantry for those moments where you just need to dig in with a spoon. 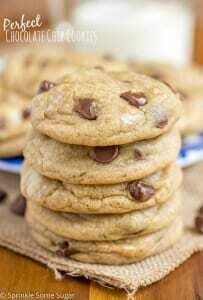 These Biscoff chocolate chip cookies come out super soft, chewy and thick. Aka the only way to eat a chocolate chip cookie in my world. 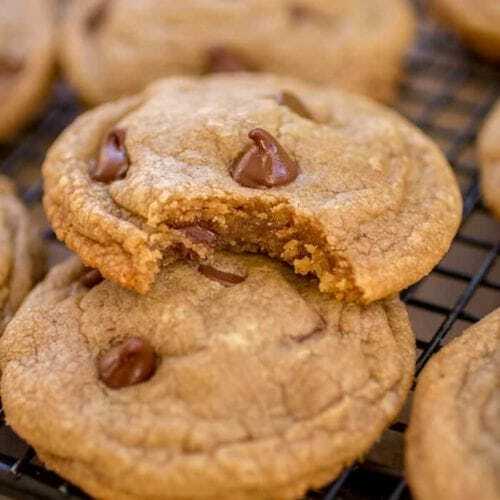 This cookie recipe is one of my favorites and I use it as a base to start out with for lots of my cookie recipes because it is so reliable and they come out great every time. 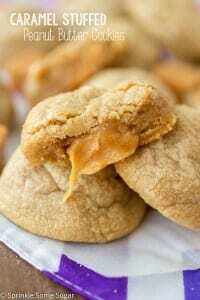 The added Biscoff in the dough really brings SO much incredible flavor to these cookies. I added a hint of cinnamon to bring out more of the Biscoff flavor and it’s pretty amazing! 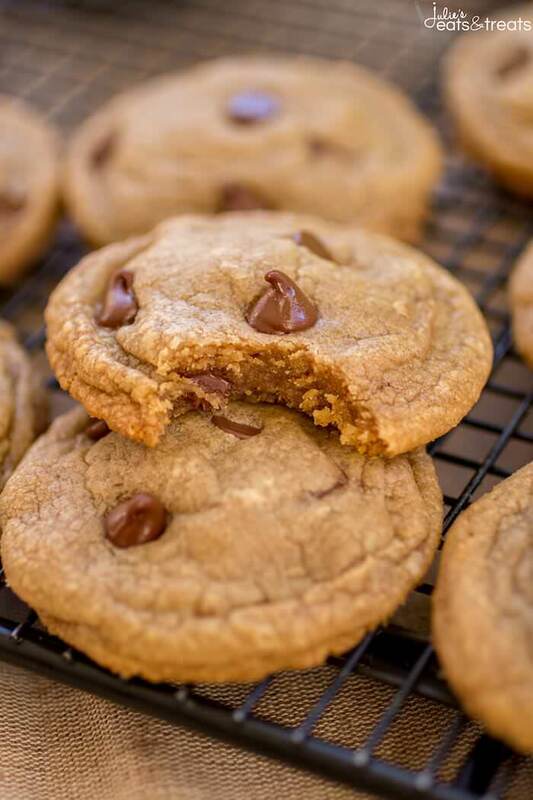 The chocolate chips paired with the subtle spiciness of the Biscoff and the buttery brown sugar cookie dough is unbelievable. You’ll just have to try them yourself to believe me! 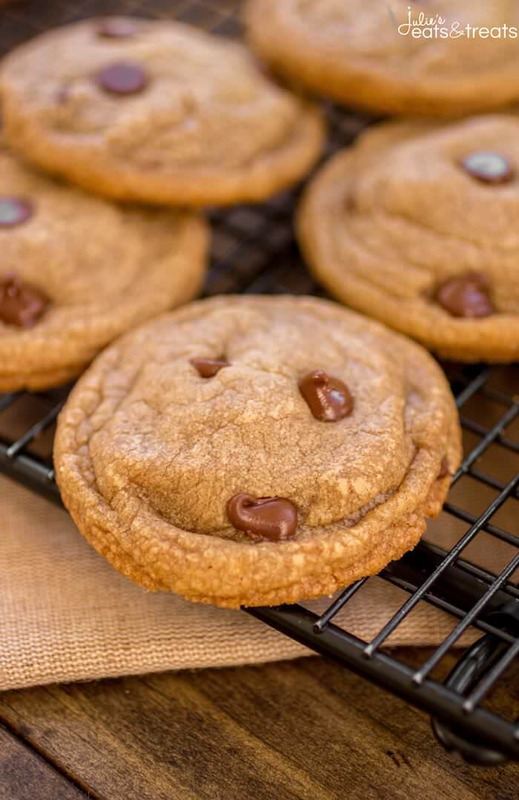 Chewy, soft and incredibly flavorful chocolate chip cookies thanks to the addition of Biscoff! Preheat oven to 325 degrees. Line two cookie sheets with parchment paper or grease well. Shape your dough into one rounded tablespoon per each cookie and place on cookie sheet 11/2 inches apart. Bake for 10-11 minutes. Cookies will appear under-done, this is what you want if you want soft-baked cookies, they will set up just fine when they cool. If you like crispy cookies, bake them longer. Biscoff Chocolate Chip Cookies will stay soft and fresh for up to 4 days stored in an airtight container at room temperature. Craving More Cookies? 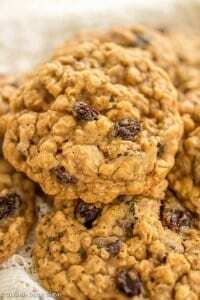 Check out my Cookies Recipes! Pinterest Board! 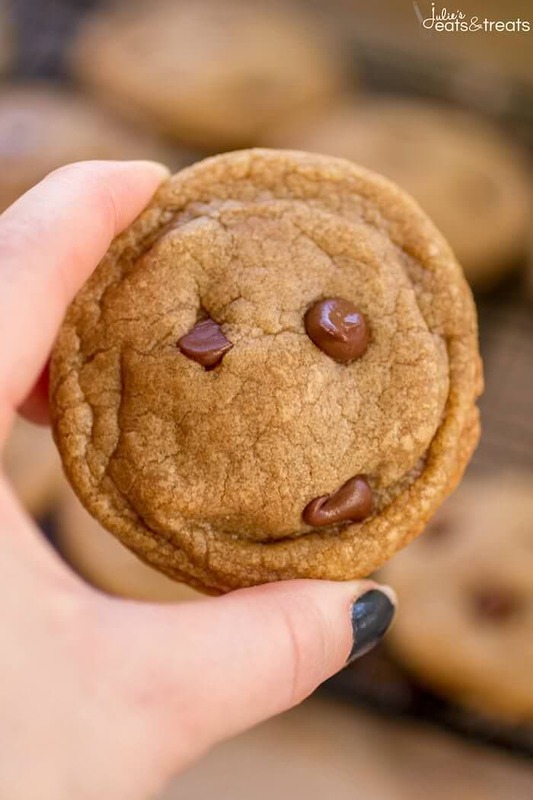 Follow Julie Evink | Julie’s Eats & Treats’s board Cookie Recipes! on Pinterest. I can’t buy a jar of biscoff spread because I’ll eat the whole jar! Looks yummy!